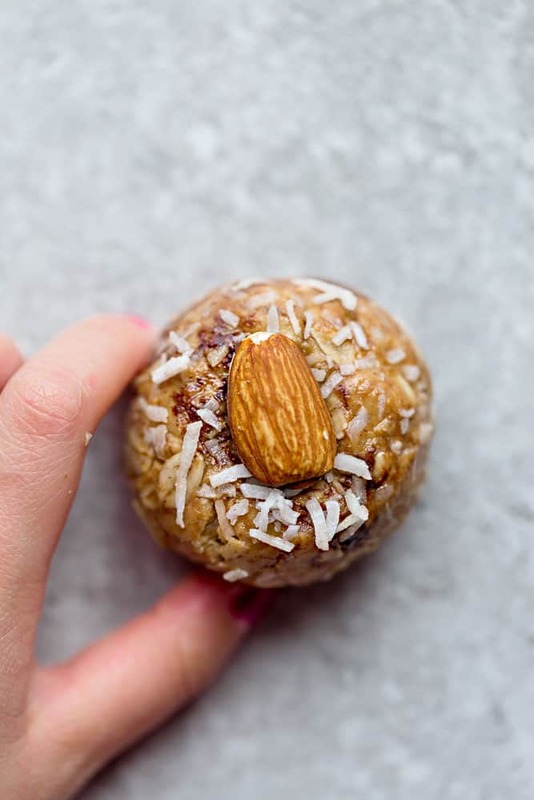 Coconut Energy Bites made with gluten free oats, almond butter and vanilla. 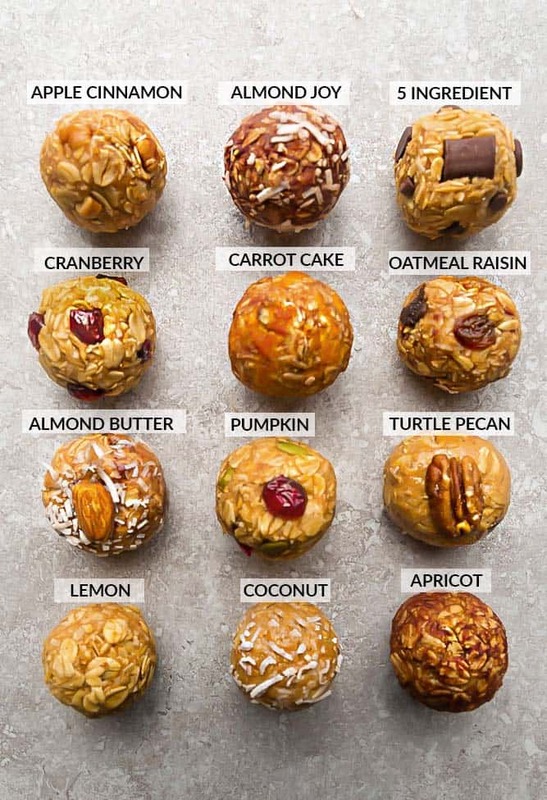 Healthy no bake snacks perfect for on the go or after a workout and easy to customize with simple pantry ingredients. With two little ones always on the go, we are all about having a variety of quick and easy to grab snack recipes to keep on hand. 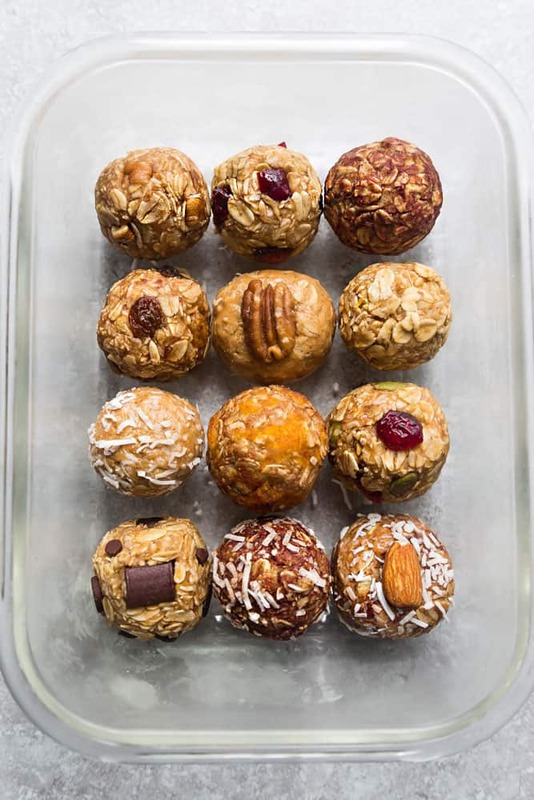 These Coconut Energy Bites are super tasty and require less than 5 minutes of prep time. The best part is how easy they are to customize with whatever ingredients you like or have in your pantry. 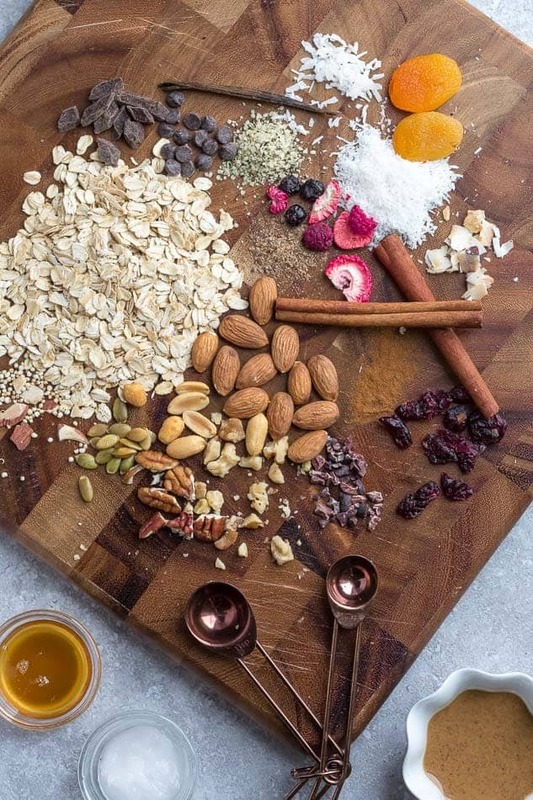 WHAT INGREDIENTS DO I NEED TO MAKE COCONUT ENERGY BITES? You’re going to mix together the heated nut butter and coconut oil until smooth. 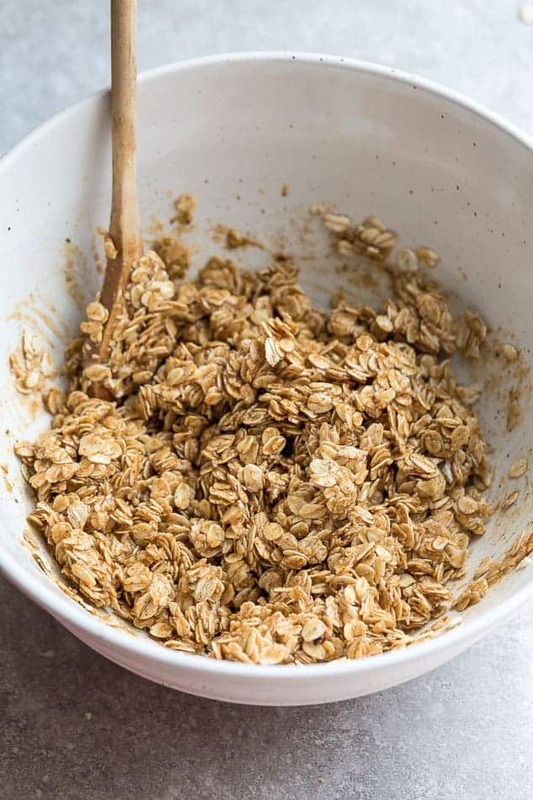 Add maple syrup, vanilla, cinnamon, coconut and oats and mix until well combined. Wet hands slightly and form dough tightly into 1″ – 1.5″ balls. If dough doesn’t stick together add 1/2 tablespoon water (or melted coconut oil) at a time until dough comes together or place dough in the fridge for 30 minutes prior to forming dough balls so it’s easier to handle. 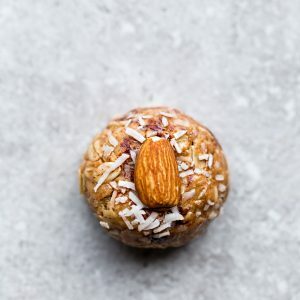 ARE COCONUT ENERGY BITES FREEZER FRIENDLY? ARE COCONUT ENERGY BITES HEALTHY? 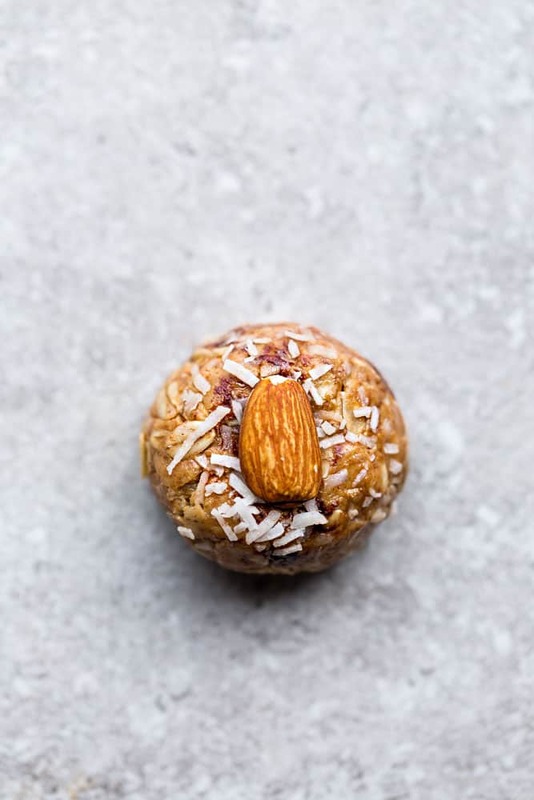 Coconut Almond Energy Bites – healthy no bake snacks perfect for on the go or after a workout. Refined sugar free and and easy to put together with wholesome and simple pantry ingredients.